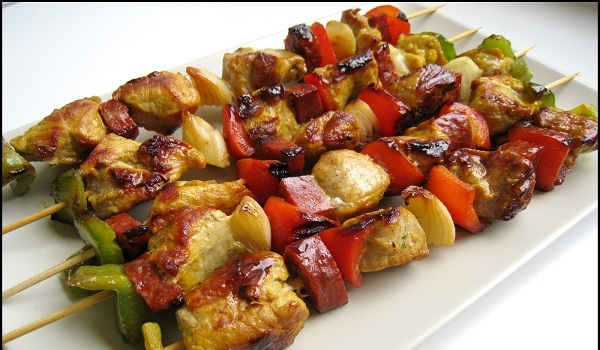 Brochette is a very popular recipe. Learn how to make/prepare Brochette by following this simple & easy recipe. Take all the ingredients except chicken in a large mixing bowl and mix well. Mix in chicken pieces and coat well. Cover the bowl with plastic wrap and keep the chicken marinated for for 5-6 hours or all night in a fridge. Thread the chicken onto skewers and grill on both sides for 10-12 minutes, or until meat is tender.